After Greg Allman's death on Saturday at the age of 69, many shared their memories of the late member of the Allman Brothers Band. This includes a former keyboardist and pianist of the band, Chuck Leavell, who shared a tribute via his website to the singer, songwriter, and founding members of the band. "Gregg Allman was not only a friend and brother," began Leavell. "But he was a strong inspiration to me very early on in my career. I used to go see the Allman Joys at the Fort Brandon Armory in Tuscaloosa, Alabama when I was a young aspiring musician of 13 and 14 years old. He mesmerized me with his talent…that incredible voice, his understated yet strong stage presence. 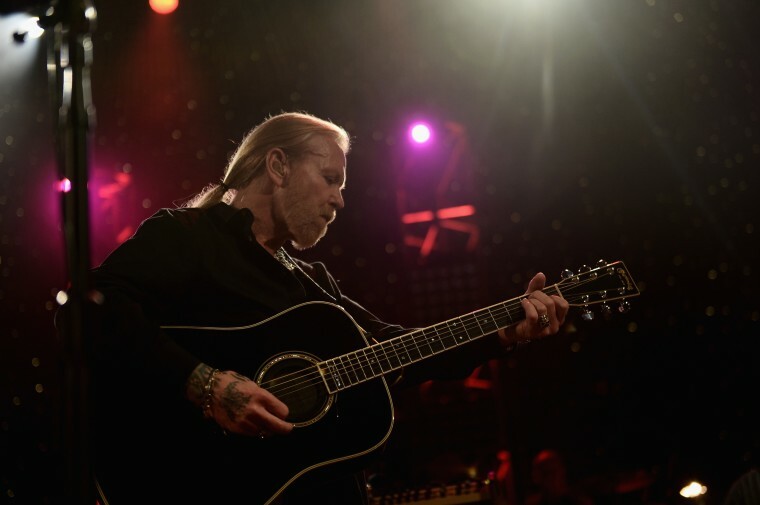 As he developed as an artist and songwriter, I continued to follow his career…and when the Allman Brothers Band was formed, I thought…”Now they have figured it out…” That first record was ground-breaking and a new style of music, Southern Rock, was born." "During that time, Gregg was much like a big brother to me, as Dickey was in his own way. Gregg was always gracious to me…making sure I was included in everything from photo sessions to various parties and events…and even sometimes asking me to accompany him to events not related to the band’s duties. We finished recording “Laid Back”, and soon after, “Brothers and Sisters”…and these are probably the two records that I am most proud to have my name on. Both garnered strong success, and I found myself in the middle of a whirlwind over the next several years." "Thank you, Gregg…for your inspiration, for your talent, for your loyal friendship and for the amazing human being you are. I am forever grateful for my relationship with you, for sharing the stage with you so many times, for the honor of recording with you on some records that have stood the test of time. You will always be my hero and I am your biggest fan. Rest easy, my Brother." Read the full letter on Leavell's website.